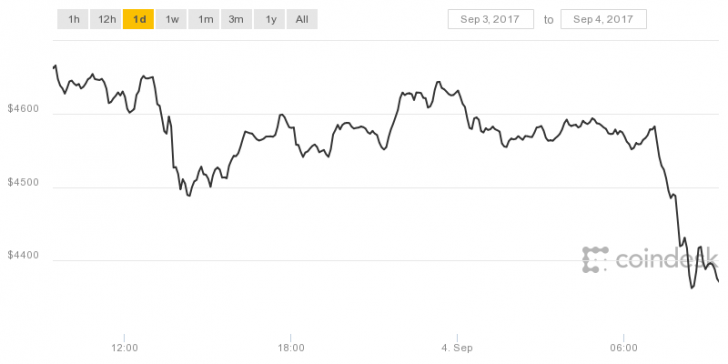 Just two days after achieving a historic high of over $5,000 on September 2, bitcoin’s price has plummeted to below $4,400. The notable sell-off – the biggest in the crypto markets since July 15 – began immediately after the record high of $5,013.91 had been reached Saturday, and has continued today, according to data from CoinDesk’s Bitcoin Price Index. Starting the session at $4,631, the digital asset traded sideways for a time (with a high of $4,636), until around 07:00 UTC, when a sharp drop was observed taking bitcoin to a low of $4,345 for the session. At press time, the price had recovered a tad to $4,367 – a drop of 5.7 percent ($263) for the day so far. 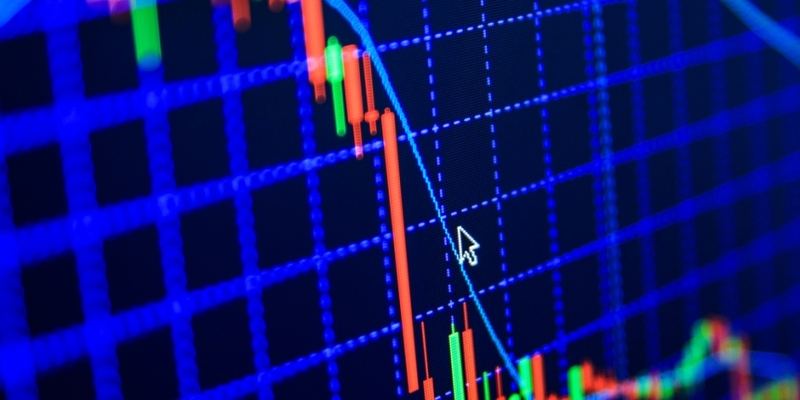 The downwards movement reflects a general drop in the cryptocurrency markets. A glance at CoinMarketCap data reveals that most digital assets are down today, with only a couple of cryptocurrencies showing in the green. Amid losses across all the top 10 cryptocurrencies, notably, ethereum is down 14.53 percent, litecoin is down 15.37 percent, and monero has dropped 12 percent. Looking at the markets as a whole, since reaching a record high of around $180 billion, the combined market cap for all cryptocurrencies is now $152 billion – a drop of $28 billion.